Microcontrollers in the Romeo series use the same pin mappings as official Arduino boards and are compatible with Arduino shields. 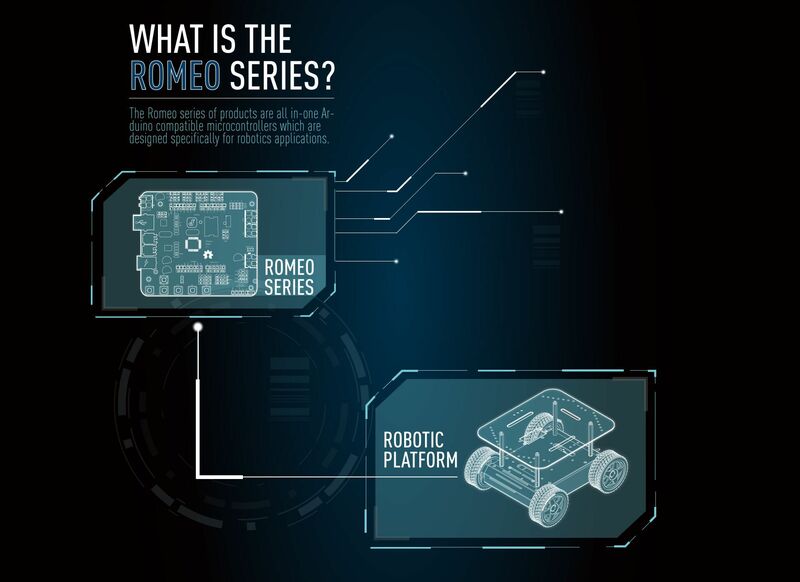 Products in the Romeo series are specifically designed for robotics applications and extended devices. They all integrate 2-way DC motor drivers, wireless sockets and PWM/PLL control modes. 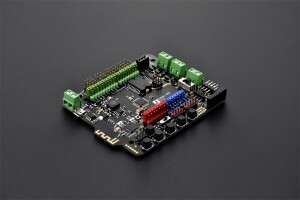 No more messing around with breakout boards - start your project immediately using just one board! The Romeo series features DFRobot's standard 3 pin “Gravity” interface, compatible with “Gravity” series sensors and actuators. Hundreds of sensors are now plug-and-play with Romeo without a tangle of jumper cables. 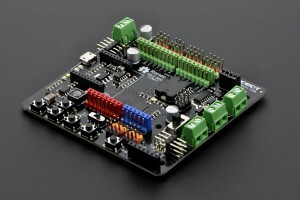 Boards in the Romeo series provide a convenient extra power port for servo connections. There are five test buttons on each Romeo microcontroller. 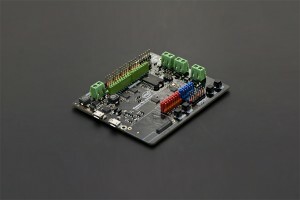 Debug your project from the board itself without the need for a computer! GoBLE is an universal Bluetooth remote controller that allows you to connect and control robots, mobile platforms, drones or anything else such as unmanned aerial vehicle (uav) with your mobile devices via Bluetooth. Designed by makers, and for makers, WhenDo is a comprehensive graphical programming developing tool based on Arduino. WhenDo is the most sufficient way to learn about Arduino and every basic programming logic. 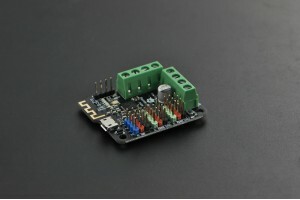 WhenDo comes compatible with all Arduino MCUs that have Bluetooth 4.0 capability.